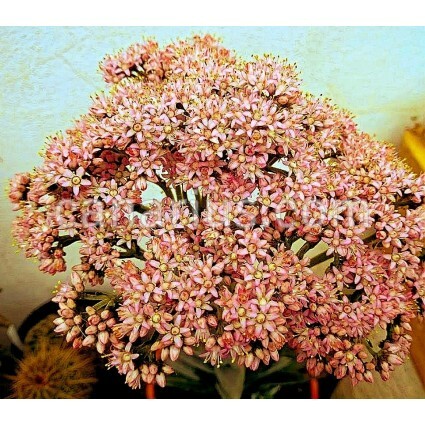 An attractive South African Crassula from the eastern Nama Karoo. Leaves are gray, arranged in opposite rows, laterally compressed, ascending-spreading and with blunt ends. Leaf surface is covered by an attractive carpet of dwarf rounded papillae. Clusters of white-pink flowers are produced in Summer.